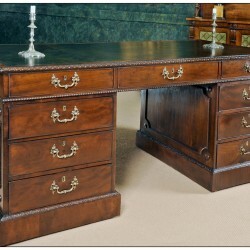 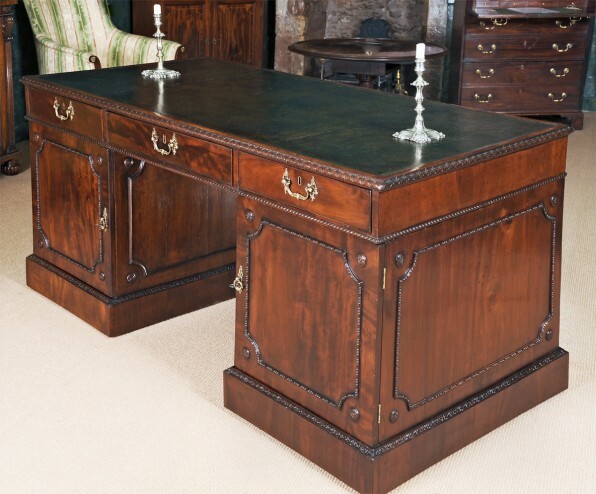 A very fine George III mahogany centre pedestal desk circa 1765 attributed to Thomas Chippendale. 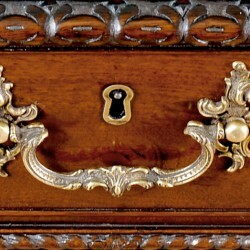 Aspects of the cabinet-work correspond with Chippendale’s furniture at Durnfries House, such as the red wash to the underside of the pedestals and the laminated blocking of the bracket feet. 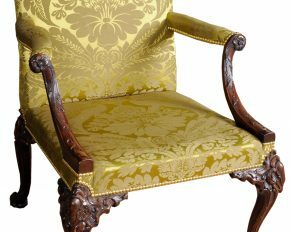 Further, the use of brass castors with friction rollers are similar to those on a library table Chippendale made for Harewood House circa 1771 and the handles compare with those on a Chippendale commode supplied for Goldsborough Hall circa 1770. 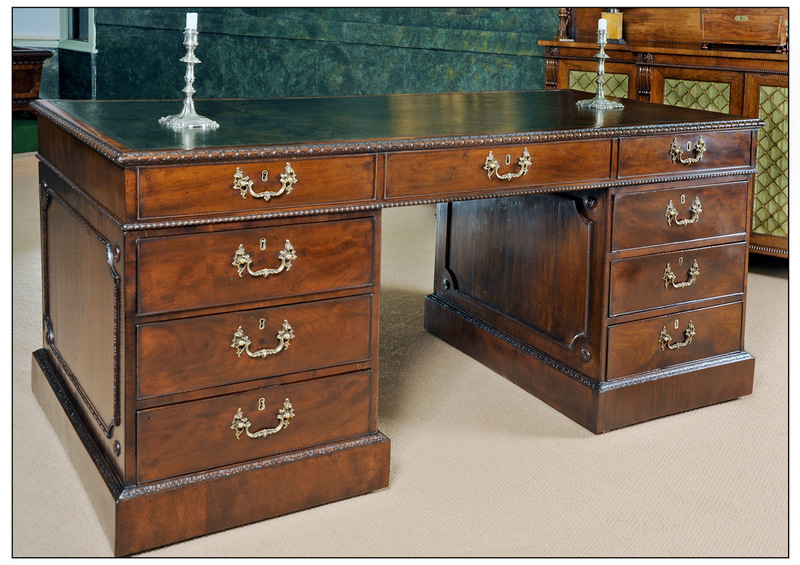 Ref: Christies catalogues for propose contents sale of Dumfries House, July 2007, ‘The Life and Works of Thomas Chippendale’ by Christopher Gilbert. 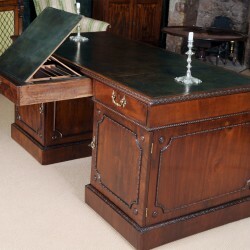 Provenance: the desk belonged to Murray Adams Acton (1886-1972) the noted English historian of art, architect and dealer. 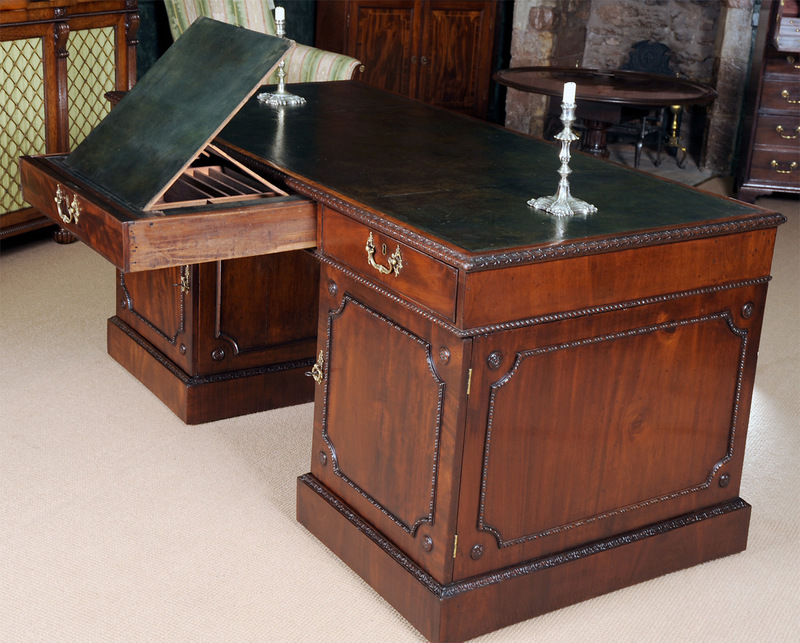 A fine Chippendale period carved mahogany suite comprising settee and two armchairs circa 1765. 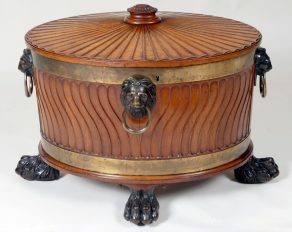 A rare late 18th century mahogany sarcophagus wine cooler circa 1800.